Rockridge is a residential and commercial district in the city of Oakland. Some portions of the Rockridge neighborhood were constructed between the 1920s and the 1950s and in 2002, Money Magazine hailed this district as one of the "best places to live." Rockridge CA real estate includes houses and condos. Some Rockridge properties cost more than one million dollars. These properties include houses with guest suites, outdoor fireplaces or spectacular views. Some of these homes have three, four or five bedrooms. Condos in Rockridge may cost approximately $600,000. Amenities in these condos include fireplaces and private decks. Many of these condos have two bedrooms. A Rockridge real estate agent will be able to help Rockridge home buyers find the right home. People who have purchased homes for sale in Rockridge will find plenty of places to enjoy the outdoors. Tilden Regional Park has a botanic garden, a lake, a carousel and a steam train. There are miles of trails for hikers and cyclists. Paved paths wind through rose gardens in the Morcom Rose Garden. Robert W. Crown State Beach in Alameda is approximately seven miles from Rockridge homes. There are places to swim, picnic and ride bicycles. The beach has a bird sanctuary and a marine reserve. Exhibits at the Crab Cove Visitor Center focus on plants and animals that live in San Francisco Bay. Those who enjoy attending plays and concerts will find Rockridge properties a convenient place to live. People can see plays and musicals at the Altarena Playhouse six miles away in Alameda. Davies Symphony Hall is in San Francisco 13 miles from real estate in Rockridge. 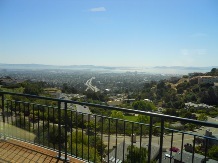 Residents of Rockridge, California homes can easily travel around Oakland and San Francisco. There is a Bay Area Rapid Transit station in Rockridge. Owners of real estate in Rockridge who work in San Francisco can take BART to San Francisco. BART trains on this line also stop at San Francisco International Airport. Travelers can take domestic and international flights from this airport. People who want to travel by train can take Amtrak from Oakland north to Seattle or south to Los Angeles as well. 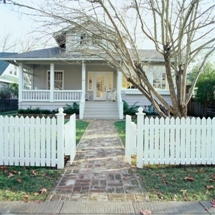 Those interested in purchasing Rockridge real estate should contact Kent Tarman and J. H. Tarman Co. Realtors today. This is a one-stop real estate website for all your home buying and selling needs in Oakland, CA, CA.